Featuring a rooftop pool and sauna, the modern Al Raya Suites is situated in front of the Bahrain Exhibition Centre. Manama’s most popular shopping malls are within a 5-minute drive. The spacious rooms and suites feature a chic design and contemporary furnishings. All are air conditioned and come with satellite TV. Suites include 42’’ LCD TVs and kitchens. 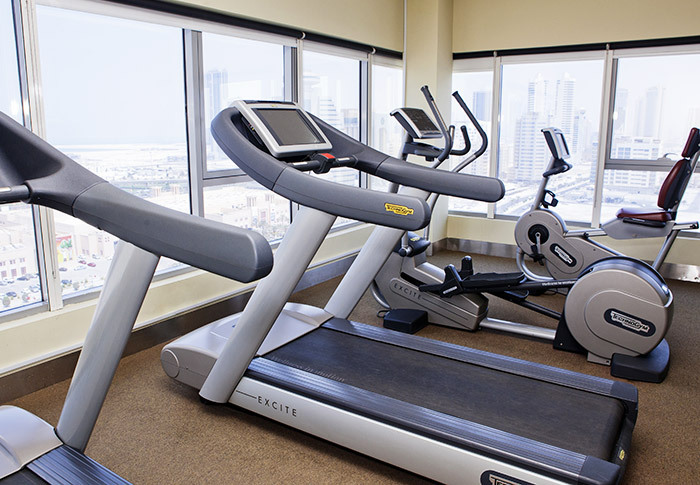 Guests can work out in the hotel’s state-of-the-art fitness centre with panoramic views of the city. For more relaxation, there are steam rooms. The Al Raya is 10 minutes’ drive from Bahrain Airport. Seef Mall, Bahrain Mall, City Center Mall, and Dana Mall can all be reached within 5 minutes by car. Al Seef is a great choice for travellers interested in shopping, family friendly trips and markets. This property also has one of the best-rated locations in Manama! Guests are happier about it compared to other properties in the area.